What is an abdominal wall hernia? Your internal organs and tissues are held in place by a tough outer wall of tissue called the “abdominal wall.” An abdominal hernia is an area in that wall that is weak or torn. Often when there is a hernia, organs or tissues that are normally held in place by the abdominal wall bulge or stick out through the weak or torn spot. Abdominal hernias may be present from birth (and slowly enlarge to the point when they are visible) or be due to an injury (including previous surgical scars). What are the symptoms of abdominal wall hernias? Abdominal wall hernias can balloon out and form a sac. That sac can end up holding a loop of intestine or a piece of fat that should normally be tucked inside the belly. This can be painful and even dangerous if the tissue in the hernia gets trapped and unable to slide back into the belly. You should see a doctor if you have a hernia which is causing you any of the symptoms listed above. In most cases, doctors can diagnose a hernia just by doing an exam. During the exam, the doctor might ask you to cough or bear down while pressing on your hernia. This might be uncomfortable, but it is necessary to find the source of the problem. How are incisional, epigastric and umbilical hernias treated? Open surgery - During an open surgery, the surgeon makes an incision near the hernia (the size of the incision depends on the size of the hernia and the patient). The tissue that is stuck in the hernia is replaced or removed, and the hernia defect is closed with sutures. If the hernia is large the repair is reinforced with a mesh. Laparoscopic surgery - During laparoscopic surgery, three small incisions that are smaller than those used in open surgery, are placed on the flank. Then he or she inserts long thin tools into the area near the hernia. One of the tools has a camera (called a “laparoscope”) on the end, which sends pictures to a TV screen. The surgeon can look at the picture on the screen to guide his or her movements. The hernia replaced in the abdomen and then repaired using specially designed mesh. 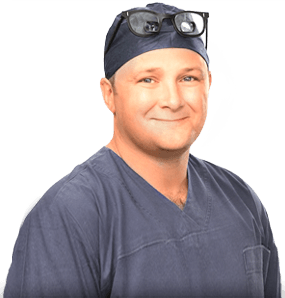 What can I expect after abdominal wall hernia surgery? The recovery and aftercare for each type of hernia repair is different. Please follow the links to information pages on recovery from groin hernia repair, abdominal wall hernia repair and hiatus hernia repair.